Ven. Lama Kunga Rinpoche will kindly bestow the Empowerment of the Medicine Buddha, Sangye Menla (Bhaiṣajyaguru in Sanskrit). 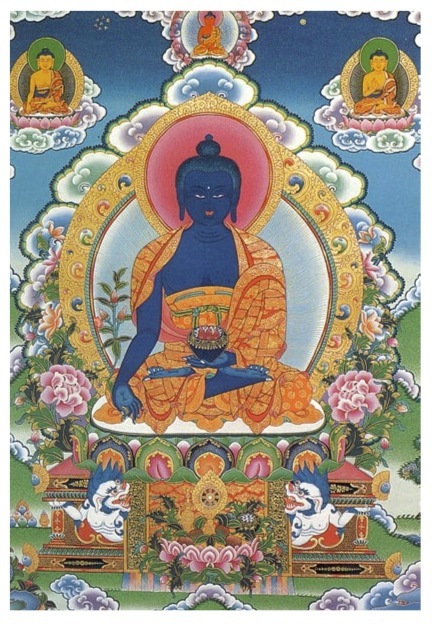 The practice of the vibrant lapis-blue Medicine Buddha is a powerful method for healing physical illness, pain and suffering and for alleviating the mental blocks of attachment, hatred and ignorance. There are various ways to use this practice for oneself and for others. The time is 1:00 pm. Please arrive early to register. The requested donation is $30. Dana (offering) to the Lama is separate. Everyone is welcome. A practice sadhana will be provided. Ven. Lama Kunga Thartse Rinpoche will kindly bestow the Empowerment of White Mahakala (Gonpo Yi-Shin Norbu or Wish-fulfilling Tatagata Gem). 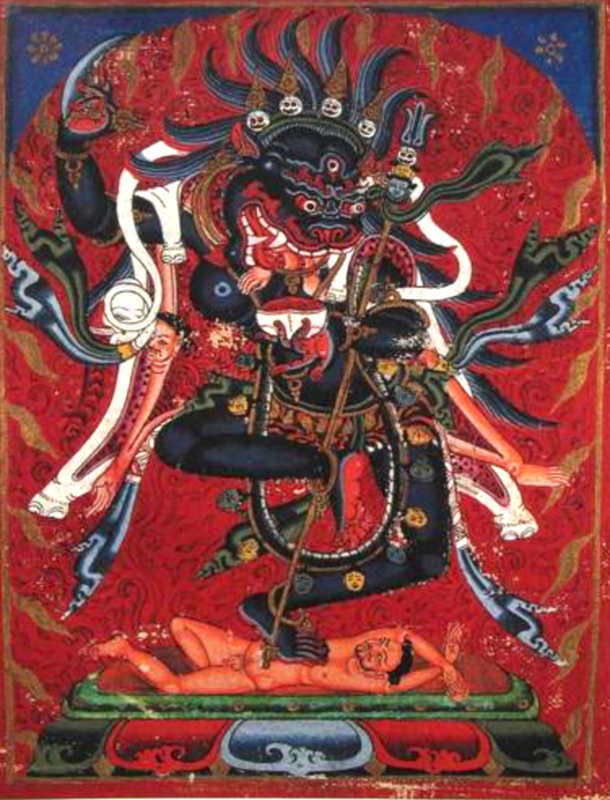 The wrathful White Mahakala is a “wish-granting gem” (that’s a translation of the Tibetan name). His practice gives all kinds of wealth and prosperity, both material and the highest spiritual attainment. This empowerment is open to everyone. Practice sadhanas will be available. There is a requested donation of $30. Dana (offering to the Lama is separate). The starting time is 1 pm. Please arrive earlier to register at the door. Parking is on the street in a residential neighborhood, so please be considerate of the neighbors. We look forward to seeing you here. TREASURE VASES—Lama Kunga Rinpoche creates and empowers Wealth and Earth Treasure Vases based on a ritual Mahakala practice. (See the home page for more information and a video.) Vases are filled with precious gems and minerals, rare herbs and seeds, mantras, and other items, including things from Tibet. These will be available for purchase at the Empowerment for $150 each. VEN. LAMA KUNGA RINPOCHE WILL KINDLY BESTOW THE EMPOWERMENT OF WHITE UMBRELLA (Sanskrit: Sitar Tapatra, Tibetan: Dug kar). 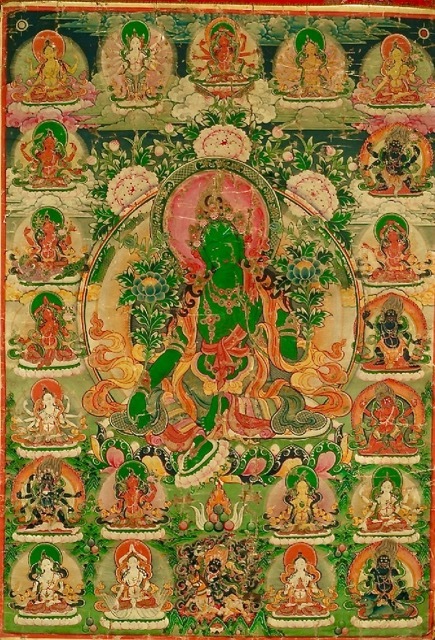 She is known as an emanation of both Avalokiteshvara and of Tara and her 1000 heads and 1000 pairs of arms reflect the combined powers of all the Tathagata Buddhas. 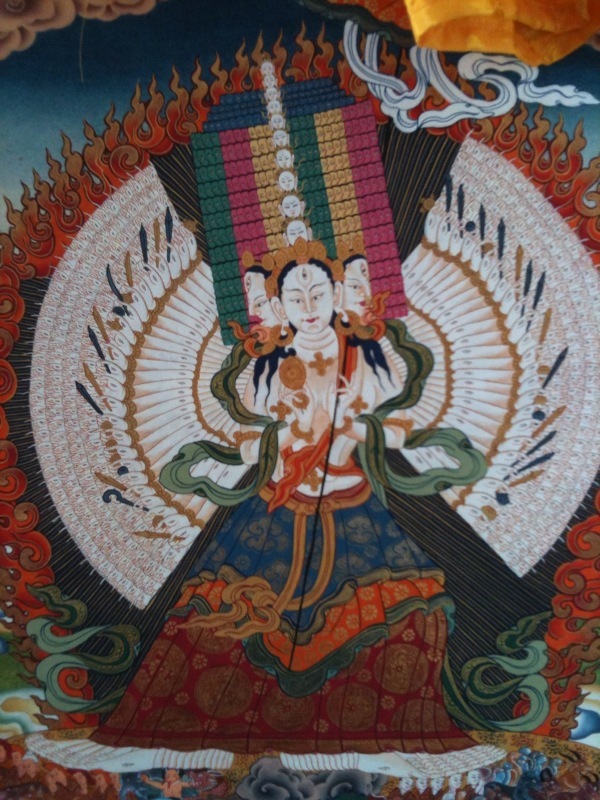 Her Empowerment and practice give protection from negative emotions, harms, afflictions, diseases, and obstacles. There is no prerequisite. Everyone is welcome. TIME: The starting time is 1:00 pm. Please arrive earlier to register at the door. DONATION: The requested donation is $30. Dana (offering) to the Lama is separate. VEN . 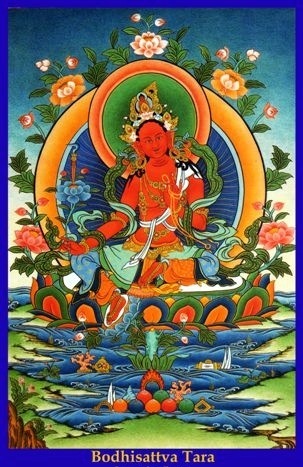 LAMA KUNGA RINPOCHE WILL KINDLY BESTOW THE EMPOWERMENT OF RED TARA ( Drolma Marmo) . Red Tara is powerfully beneficial for removing fears and obstacles from our own negativity, and for increasing wealth, longevity, and spiritual power. This empowerment is open to everyone. The requested donation is $30. Dana (offering) to the Lama and monastic is separate. The starting time is 1:00 pm. Please arrive early to register at the door. Ven. Lama Kunga Rinpoche will conduct the annual Memorial Prayer service at Ewam Choden. 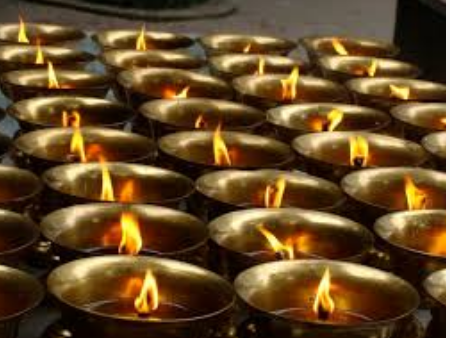 This is a gathering to offer prayers for the benefit of all of our friends, relatives and countless sentient beings who have passed on in this year and in previous years. The event is open to everyone. If you wish, you may bring a photo of a special person or animal to include, and you may bring tea candles or flowers to set up near the shrine. The gathering begins at 7 p.m. and lasts for about one and a half to two hours. Ven. Lama Kunga Rinpoche will kindly bestow the Empowerment of Amitabha Buddha. This will be followed by instruction on the practice of PHOWA, the intentional transference of consciousness at the time of death. 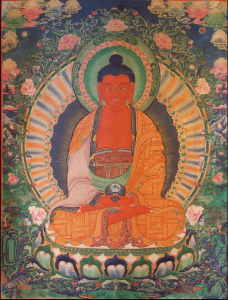 The Empowerment of Amitabha Buddha is at 10:00 am. Please arrive early to register. The Phowa Teaching is from 1:30 pm to about 3:30 pm. NOTE: Everyone is welcome. You may receive the Empowerment alone (and not the Phowa Teaching), but attending the Phowa Teaching requires the Empowerment. No exceptions. Requested Donation: $30 for the Empowerment OR $60 for the entire day. Dana (offering to the Lama) is separate. 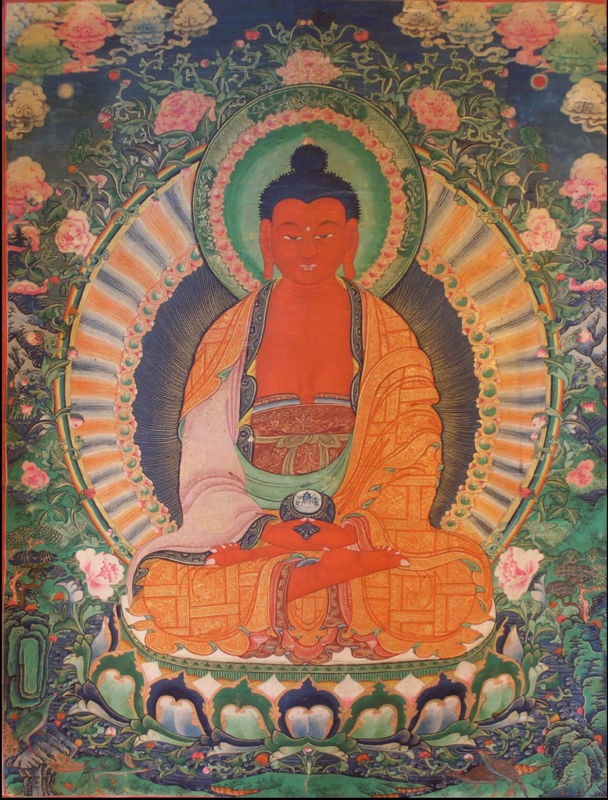 Amitabha, (Tibetan–འོད་དཔག་མེད, Ö-pa-me), is the Buddha of Infinite Radiant Light. 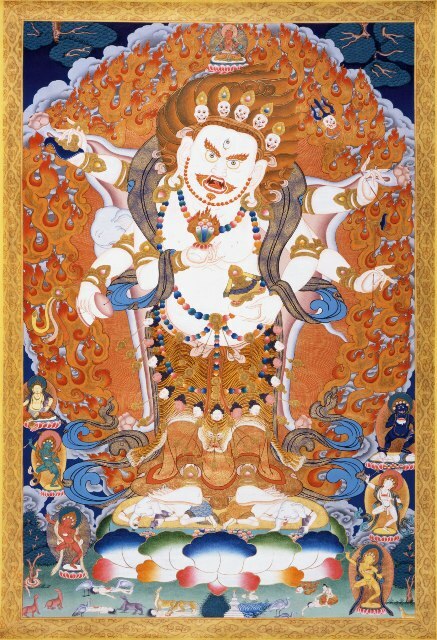 He resides in Dewachen, བདེ་བ་ཅན། (Sanskrit-Sukhavati), the Blissful Pure Land. Phowa (འཕོ་བ) is a method of practice at the time of death to ensure that a person’s consciousness leaves the body through the crown and transfers into a Buddha-field. This teaching aims for Amitabha’s Pure Land. Our lives are short. The time of death is uncertain. By learning and practicing Phowa, we can help ourselves and others feel more confident in death. Pray for compassion and peace, health and prosperity. On Sunday, December 31st, starting at 11:00 p.m., Lama Kunga Rinpoche will lead some meditation and the recitation of auspicious prayers. Then, everyone will welcome the New Year with light refreshments, and wishes of peace and joy for all sentient beings. Welcome to the Tibetan New Year Celebrations at Ewam Choden ! 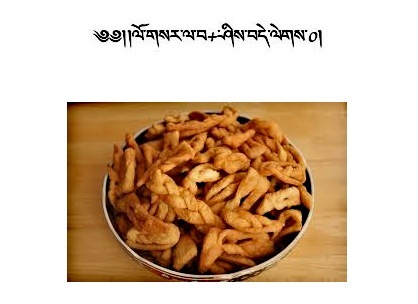 ༄༅།།ལོ་གསར་ལ་བཀྲ་ཤིས་བདེ་ལེགས་ཞུ། Losar La Tashi Delek New Year’s Greetings! The year is 2145, the male earth dog. Everyone is welcome to a LOSAR potluck party at Ewam Choden on Friday, February 16th at 7:00 pm. From the Oracle Soup, you will receive a special dumpling in which your unique fortune can be found. Join Rinpoche and Sangha friends for a delicious potluck meal. SUNDAY MORNING, 2/18/18 SPECIAL MEDITATION, Prayers for Peace, Health, and Happiness for all Beings Ven. Lama Kunga Thartse Rinpoche will lead the usual Chenrezig compassion meditation and, following tradition, there will be special recitations and prayers. Come to meditation at 10:00 a.m. as usual, receive Rinpoche’s blessing, greet everyone for New Year, and enjoy sweet rice, Tibetan tea, and some special Losar snacks. Ven. Lama Kunga Rinpoche has kindly agreed to bestow and teach the Empowerment of SIMHAMUKHA (Senghe Dongma) Blue Lion-Headed Dakini. According to Rinpoche, this full-moon day is especially auspicious for Simhamukha. 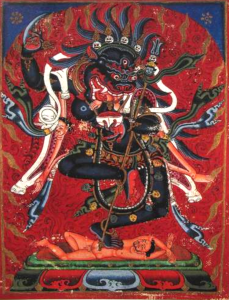 In a wrathful form, she is the manifestation of the enlightened awareness of the Buddha. With compassion and wisdom, she destroys hindrances, negativities, and evil forces. A practice sadhana will be given, but the empowerment can be taken as a blessing. There is no requirement or pre-registration. Please arrive early to register at the door. The Empowerments of the 21 Taras in the Surya Gupta tradition, will be kindly bestowed by Ven. Lama Kunga Rinpoche. It became necessary to change the dates of these Empowerments. The dates are now February 22, 23, 24, 2019. The location is Ewam Choden. SAVE THE DATES—-MORE INFORMATION WILL BE PROVIDED LATER.